We have great pleasure in presenting to our readers this pretty "Garland of Gems from the Upanisads". 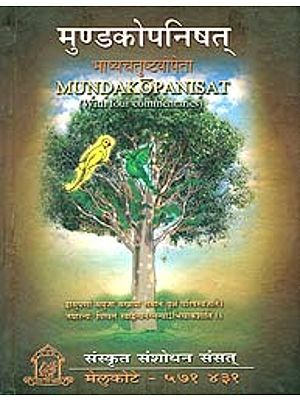 Aptly have the Upanisads been named the Himalayas of the Soul. Purusat na param kincit: There is no limit to the heights to which the human spirit can soar. And the Upanisads are the expressions of some of the finest moments of the experiences of our ancient sages in their contemplation of the Divine. We do not know how many millennia have passed since those inspired talks were recorded in our forest universities. But age has not withered nor custom staled their unfading freshness and charm. It must however be borne in mind that these utterance form not so much a logical approach to Reality as a poetic apprehension of it. Hence we can find in them philosophic concepts at different levels. 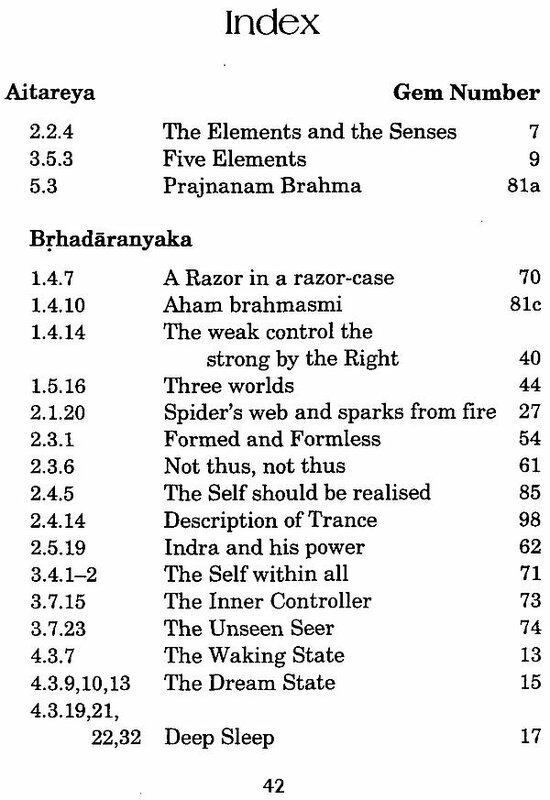 As Sri Ramakrishna has observed from the profundity of his own experience, the aspirant has to choose from them what suits best his particular mental and emotional make up. Prof. H. B. Phillips who has, as a labour of love selected 108 gems from the Upanisadic mine and strung them into a fascinating array, is a Sanskrit scholar from S. Africa. He is intensely interested in Indian scriptures and holds the certificate of Vedacarya. We are grateful to him not only for compiling this brief anthology but also for partly subsidizing its publication. THE word Upanisad, whatever its original meaning, soon came to signify "secret or esoteric doctrine," as in Svetasvatara 5.6: "That which is hidden in the secret of the Vedas, even the Mystic Doctrines (Upanisad)" (Hume). 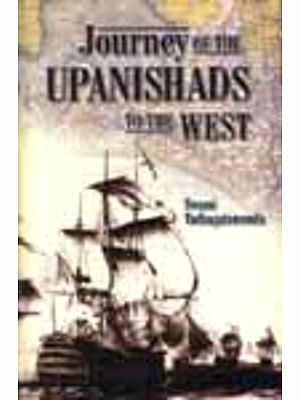 As the earliest Upanisads generally came at the end of the Brahmanas and or Aranyakas, themselves a late stage in Vedic literature, they are also referred to as Vedanta or "end of the Veda". 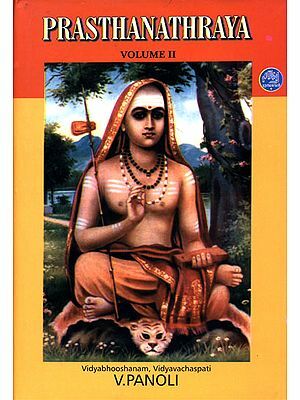 The great commentator, Sankara, wrote commentaries on most of these, together with a few others, eleven in all, and these are the ones chosen for selection in this work. 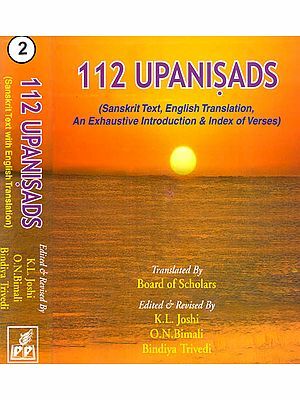 Altogether there are over 200 so called Upanisads, although the traditional number is fixed at 108. 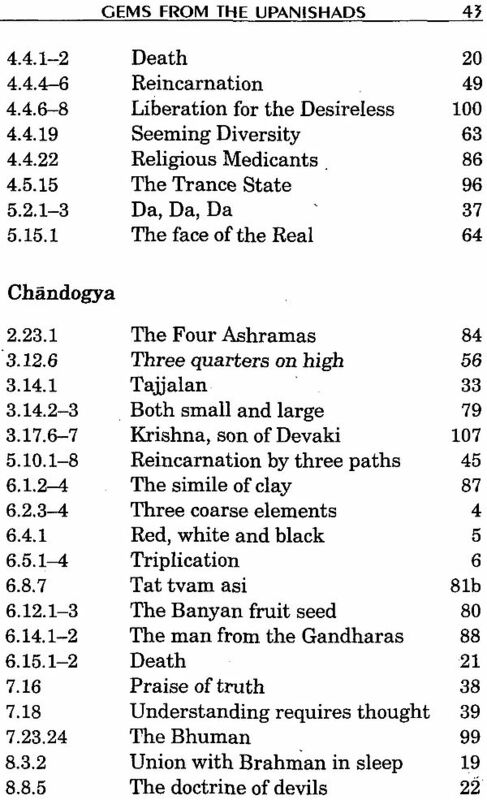 Some of these teach Vedanta, but most are more concerned with Yoga, Sannyasa, or glorifying Visnu, Siva, Sakti, etc., and so can make no serious claim to belong to the Vedic cycle. To date the early Upanisads is difficult, even to arrange them in sequence, but it is generally agreed, I think, that the longer prose Upanisads belong to 8th and 7th centuries B.C. 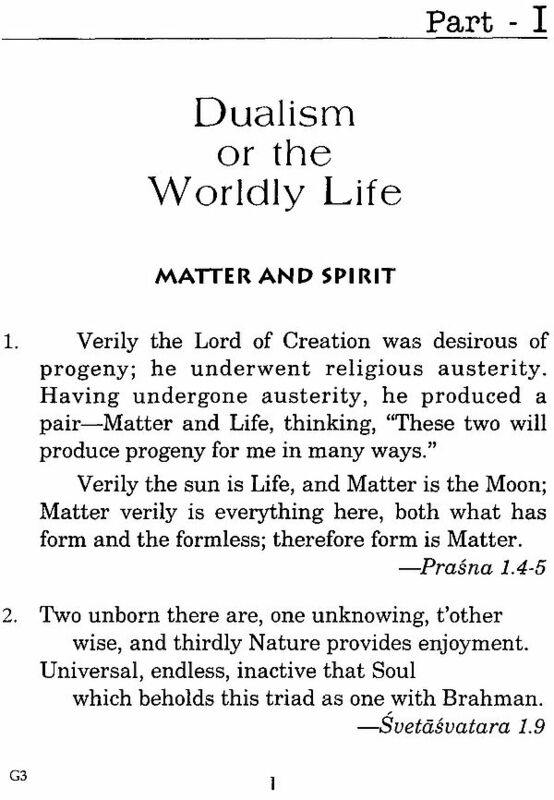 and are pre-Buddhistic. 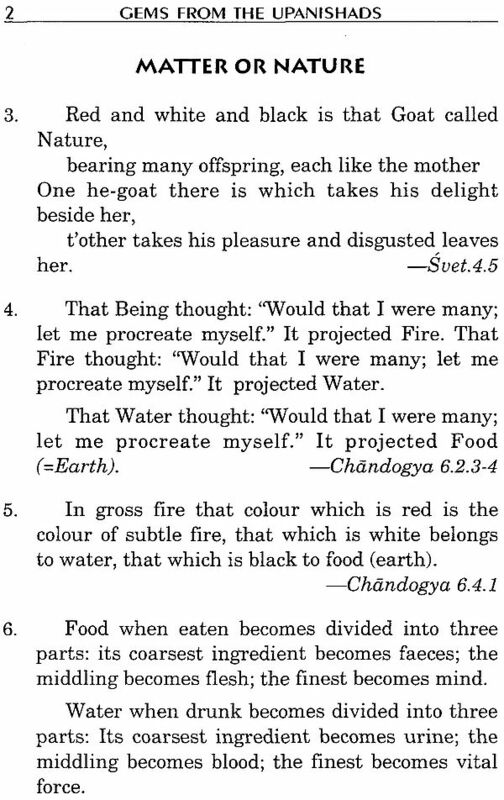 Some of the later of these ''Vedic'' Upanisads, like Svetasvatara refer to Yoga and perhaps Siva.